Our Video Production Experience For You! Check Out ADR Productions On Thumbtack! Visit ADR Productions on Thumbtack to see our latest ad! We have just started using Thumbtack as one of our latest tools in advertising and have found it to be very simple and the results are great! Christian Is 8 Years Old and Needs Your Help! March 12, 2011 please join us and a host of truly fine entertainers at the American Legion Post 1125 Fern Street, Wheaton, Maryland from 4-8 PM in support of young Christian Meese. Christian was diagnosed with cerebellar ataxia . a deterioration of the cerebellum. our support, along with the folks at Amazing tails LLC will make it possible for Christian to get a service dog that will assist him with more mobility and freedom in everyday functions. I look forward to seeing you, and together we can make this a reality. Among those scheduled to perform; MEMPHIS GOLD,CATHY PONTON KING,THE ANDY POXON BAND,ANDREW PADULA,TOMMY BERGER,WARNER WILLIAMS ,JAY SUMMEROUR. My doctors think it’s a good idea if I get a service dog to help keep me steady and alert my Mom to my oncoming tremors. Post-production is part of the filmmaking process. It occurs in the making of motion pictures, television programs, radio programs, advertising, videos, audio recordings, photography and digital art. It is term for all stages of production occurring after the actual end of shooting and/or recording the completed work. Writing, (re)recording, and editing the soundtrack. Adding visual special effects – mainly computer-generated imagery (CGI) and digital copy from which release prints will be made (although this may be made obsolete by digital-cinema technologies). Sound Design, Sound Effects, ADR, Foley and Music, culminating in a process known as sound re-recording or mixing. 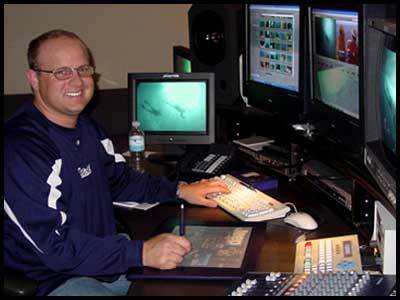 Transfer of film to Video or Data with a telecine and Color grading. Typically, the post-production phase of creating a film takes longer than the actual shooting of the film, and can take several months to complete. Statistics provided by YouTube reveal that 67% of internet usage is based on videos and 70% of online users are interested only in watching videos. Online video production is one of the best avenues to drive huge traffic to your website. Videos enable you to convey your message through various methods, such as via action, gestures, visual images, visual text, music, animation and speech. 1. Sense of belonging: Through videos, people come into contact with the real person instead of text and pictures. This creates a sense of belonging between the company and its clients, and it is an opportunity to enhance customer loyalty. 2. More appealing: There is a famous adage, “Seeing is believing”. When people hear something said by a person, they tend to believe it faster than they do after reading information. 3. Wide audience: YouTube states that people view 2 billion videos regularly. You can also reach a huge audience with the help of videos and create your brand awareness. 4. Interesting: Some people find videos more interesting than text. Even if the video is little longer, people may view it patiently. 5. Video sharing: If people like the video, they tend to share it with their friends through social media sites, such as Facebook and MySpace. This creates the opportunity to spread your business without any serious effort on your part. 6. Client feedback: By putting your video on YouTube or other media website, you can actually involve viewers. They can put their comments, which will help you to adapt your offerings according to your customers’ preferences. Online video production can result in growing sales and building the reputation of your business. Video marketing is a powerful way of gaining online visibility because it is cost effective and appealing to customers. If you have an online business, it is favorable to adopt this strategy along with other marketing strategies. ADR Productions strives to create powerful and convincing videos for your business. It’s a good feeling when you can look back on a year and have it bring a smile to your face. 2010 was one of those years! In 2010 we had the return of some old friends and the addition of some new friends. We started the year off with the conclusion of the Stixrud project which started in September 2009. Dr. Stixrud is a professor of neuropsychology who who specializes in the evaluation of children, adolescents, and adults with learning, attention, and/or social/emotional difficulties. He partnered with us to film a twelve session training course with the goal of creating an online course for his customers. I found myself absolutely amazed at the information I gathered about the effects of TV on young children during the filming of this project. Spring of 2010 saw the return of Elan DanceSport Center and their ProAm showcase. We also welcomed a new customer to ADR Productions in the ballroom dance genre, Dance Factory! The Dance Factory gave us a trial run on their Spring ProAm dance showcase and expressed the complete satisfaction with the finished product. Summer of 2010 brought the addition of the semi-pro football team, Virginia Lions, to the ADR Productions family. The Lions are part of the AFL and have committed to making ADR Productions their official video production company in 2011. Fall of 2010 again saw the return of Elan DanceSport Center and The Dance Factory for their Fall ProAm showcase performances. These really are must see events if you get a chance when they return in the Spring of 2011. 2010 also saw several other new clients such as ARMI Live and Urban Fat Chords, The Producers Choice music software. We continue to run into old friends in the industry and make new ones. I would like to welcome TimeLine Media to our circle of friends in the production arena. We have had the great pleasure of working beside Rassi Borneo and his wife Bryony. If you are looking for a professional photography company, Timeline Media should be your first choice. At ADR Productions, we just want to say thanks to all of our new and old friends who have helped to make 2010 a very special year. We will see you in 2011! Join us on Facebook at ADR Productions’ Facebook page! What is Itellectual Property Rights? Intellectual property, sometimes abbreviated IP, is a legal definition of ideas, inventions, artistic works and other commercially viable products created out of one’s own mental processes. In the same sense that real estate titles and bills of sale establish ownership of tangible items, intellectual property is protected by such legal means as patents, copyrights, and trademark registrations. Intellectual property is generally handled in the same way as any other tangible product or piece of real estate. The Coca-Cola company, for example, has legal ownership of several factories, the bottling equipment, trucks for transporting their product AND the formula for the soft drink itself. The intellectual property known as the secret recipe for the Coca-Cola beverage is ‘owned’ outright. Obviously other beverage companies can produce a cola-flavored soda, but Coca-Cola’s formula is protected by trade secret registration. Not every idea inside a person’s mind can be considered intellectual property, which can only be a good thing in some instances. There is usually a commercial viability angle which needs proper protection to prevent theft of the idea or outright copyright infringement. Hundreds of people throughout history may have conceived of a long-distance communication system, but Alexander Graham Bell needed to establish ownership of his intellectual property known as the telephone. Without a proper patent, dozens of other enterprising businessmen in the 1870s could have legally manufactured their own version of the telephone without penalty. Intellectual property may or may not belong to the original inventor or composer, however. Individual scientists working for pharmaceutical companies or private laboratories may invent a formula for a new cancer drug or a zero gravity machine, but the actual intellectual property rights may be held by the company or laboratory as a whole. The inventor could not resign from the laboratory and begin marketing the miracle drug or machine on his own. Often when a company acquires another company, it receives intellectual property rights as well as the building and equipment. Many court cases arise over improper use of intellectual property. This is why experts strongly recommend that inventors and those in creative fields seek protection through official registration of their ideas and trade secrets. Infringement on intellectual property rights can usually be proven if the owner of that idea or creation can establish a date of origination. Although intellectual property laws exist to protect the inventor or creator, court decisions have also made it easier for others to ‘borrow’ similar ideas or concepts. Humorists can parody a trademarked product or a copyrighted work if it is considered social commentary, for example.